“Tombi,” an orange tabby cat, first appeared outside an elementary school where a class of third-graders and their teacher adopted him. They got him vaccinated and ID’d and soon Tombi became a regular inside the classroom itself. The teacher even reported that students were happy to be in school just so they could spend more time with Tombi. However, a parent disliked the idea of a cat in the classroom and asked for it to be removed. Students were unhappy with this decision and their parents soon requested to bring Tombi back to the classroom. 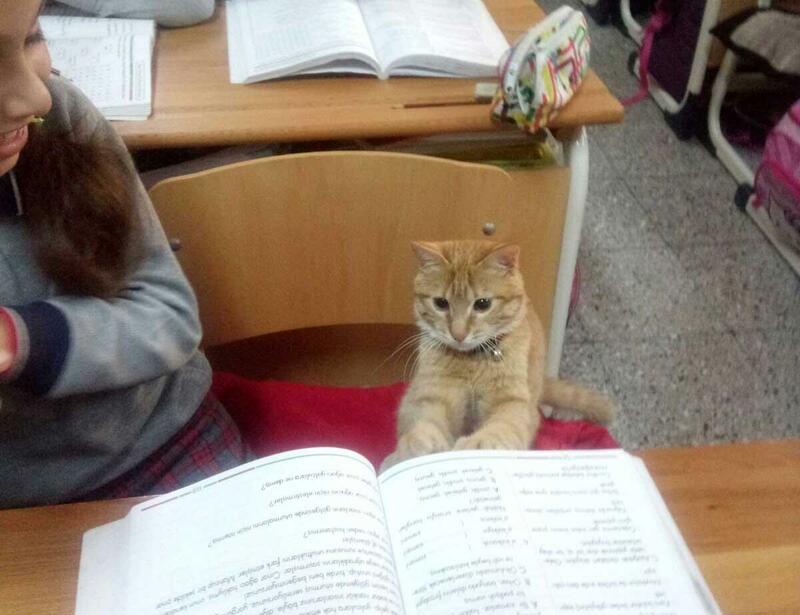 Ömer Yahşi, an official from the provincial directorate of the National Education Ministry soon gave instructions to allow the cat to be returned to the class. Now Tombi is back in the classroom and happy to be surrounded with students and fellow classmates once more, which goes to show you that cats are not only smarter than some people, but also better educated too. To read more about the cat that spends its days in a classroom, click here. Is a Cat Image on Diapers Insulting to Muslims?